Happy Chinese New Year! How fantastic that we are launching Pawtivity in the Year of the Dog! We can’t think of a better year to launch! 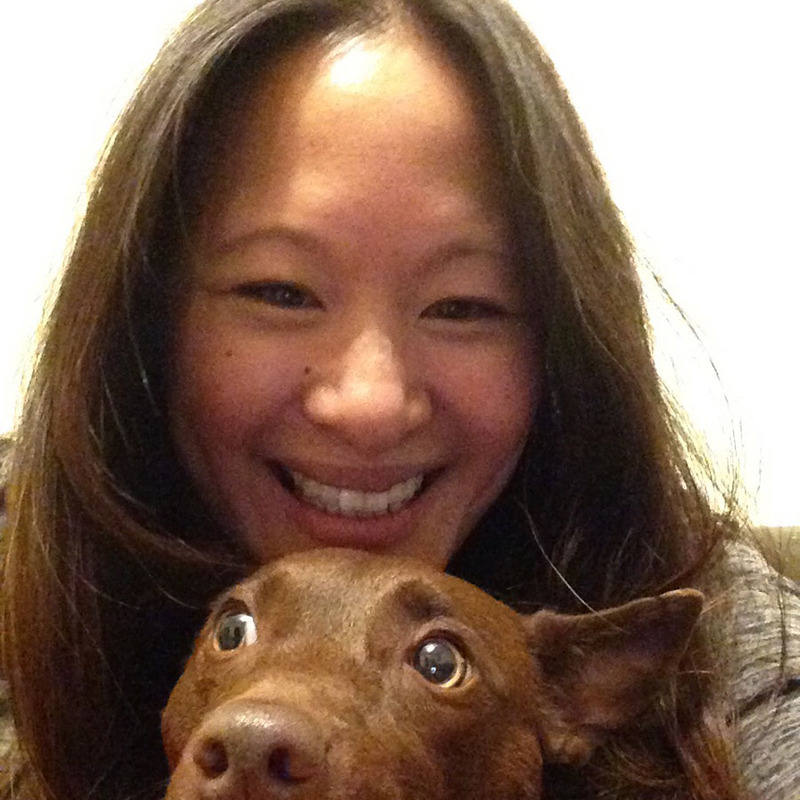 I am the founder of Pawtivity.com and also of Chinese ethnic descent. I’m actually an “ABC,” or American-born Chinese, so my family has always celebrated Chinese New Year with a little less fanfare than in Asia. It’s hard to do much when we still have to go to work on the holiday here in the United States. The Lunar New Year in Asia is a big deal. Some companies give 1-2 weeks off from work to allow families time to celebrate. Pretty sweet huh? Chinese New Year is based on the lunar calendar and the date usually falls anywhere between late January and mid-February. This year, Chinese New Year is on February 16, 2018. The new year ends with the Spring Lantern Festival on March 2, 2018. Each year represents one of twelve animal zodiac symbols that cycle every 12 years. For example, this year is the year of the dog. The next year of the dog will be in 2030. Travel China Guide has a great description of each zodiac symbol along with birth years. Your birth year defines what symbol you are. If you were born in the year of the dog you are, “…independent, sincere, loyal, and decisive…” and have a “harmonious relationship with people around” you. There are so many traditions and ways to celebrate Chinese New Year. Here are some tips on how I will be spending Chinese New Year and making it extra special for Carmella in honor of Year of the Dog. Book a haircut appointment before the new year on February 16. Trim your dog’s nails too or send them off to get pampered at the spa! It’s all for a bit of good luck. No one ever says no to good luck and to looking good right? Cutting your hair during the start of the new year means that you will be cutting your luck! Do not wear black or white! In China, those colors are actually associated with death. A clean house means the entire house – every floor, dusty window, and of course your dog’s smelly, dander covered bedding and dirty toys. Have any old toys still in good shape that your dog no longer plays with? Donate them to a shelter who would love to have the extra toys for their dogs to play with. A clean house means that you throw out all your bad luck for good luck in the new year. Purchase a money tree, jade plant, or bamboo plant to place at the front door, in your office, or kitchen. Plants help signify a healthy year. 2016 was the worst year to clean my house. That was the year we hosted a Super Bowl party on the same day as Chinese New Year Eve. I don’t know if I was a strict host requiring my guests take their shoes off, but that’s normal for an Asian household! I remember doing some major last minute cleaning of party food before the clock struck twelve midnight. I even got my guests to help clean up. That may have been a little extreme, but I had my reasons and I was going to get a clean house! My husband would grin reading this. The easiest way to decorate with red is to get the Chinese character for Fu, which means good luck and happiness, and hang it upside down on your door. Don’t ask me why we hang it upside down, but we found an article on Linda Mandarin that sheds some light on this tradition. I personally like the second explanation as it involves princes and princesses. Other than putting an upside down Fu on your door, you can create red paper cutouts to put on your windows. There are plenty of templates on Pinterest or go to Etsy to buy one ready to go. Red lanterns may also be put up. I never go overboard with the decorating. I keep it pretty simple with my Fu and my plants. Many families also put out something for their ancestors like a bowl of oranges, little cups filled with rice wine, and other bowls filled with good eats. We bow in front of the offering as a way to remember our loved ones and honor them. Dumplings are a sign of prosperity and eaten on New Year’s Eve. I think traditionally it’s said to be eaten at midnight, but we always eat this for dinner instead. My family makes hundreds of dumplings. We sit around a table with dumpling skins, meat filling, little bowls of water, spoons, and trays. Sometimes, we make handmade dumpling skins, which tastes so much better than pre-made dumpling skins. Finished dumplings go on trays to freeze, then transferred to bags to store for up to 2 months. It’s fun to have small family traditions, and this is one we all enjoy. Looking for a dumpling recipe? You can find a great meat filling recipe on one of my favorite cooking blogs, The Woks of Life. They bravely name their recipe article, “The Only Dumpling Recipe You’ll Ever Need.” I actually have a secret recipe that my family loves, but comment below or email me if you want tips. One of these days I promise you I will put an article out (even on a dog website) on how to make my dumplings. Dumplings are traditionally filled with pork, but you can also make other fillings based on shrimp, beef, chicken, fish, mushroom or pumpkin and mix that in with vegetables and other ingredients to match. As far as I know, dumplings are safe enough for dogs but I would only give them 1 or 2 dumplings. They do contain a tiny bit of garlic and green scallions. I have yet to develop a dumpling specifically for dogs, although that should not be hard at all! I think Carmella is pretty content already with my dumplings. Fish is also eaten the day before new year’s, but don’t forget to save some fish to eat on the new year. This signifies that you will always be lucky and have an abundance of everything in the new year. We usually sit down at the table with both fish, but then wrap one up when we start eating to put in the fridge to eat on New Year’s Day. Fish can prepared any way, but keep in mind that you do need to have it in a state to eat the next day. I like to steam 2 small fish on New Year’s Eve, cooked Cantonese style. I steam the entire fish with head on and rubbed down with ginger and salt inside and out. Inside I stuff with more ginger and green scallions slices. The basic sauce that goes on top of the fish is added after the fish is steamed. The sauce has a mixture of soy sauce, sesame oil and other ingredients. Here is Woks of Life’s recipe for Cantonese Steamed Fish. When we sit down for New Year’s Eve dinner, we place both fish on the table (for show) and then put the one we eat the next day in the fridge when we are ready to eat. There are so many other foods that you can eat, but my mother always had one dish made of each meat (fish, poultry, beef, and pork). Rice cake and glutinous rice balls are also popular to eat. I digress… besides dogs, cooking is my other love. Can you tell? It’s time to go shopping! Wear new, red clothes on New Year’s Day. Red is for good luck and scares away bad luck. I have a new red bandana for Carmella, but you could also buy your dog a new red coat, collar, or harness. You may want to take your dog to the dog park or arrange a play date with another dog or your own family! We don’t live close to our entire family, but this year we have some of them coming over to celebrate the New Year with us! Carmella has some new people to play with! She is always ready to present them with a dog toy when they walk in the door! Carmella is usually fine with new people in the house after barking to let us know of their arrival and giving them the sniff down. Some pets do become stressed with a household of new people. If your dog is like this, you could arrange a “safe” room for your dog to stay where they will not be bothered. Fireworks and firecrackers are always present at a Chinese New Year’s celebration, so if your dog is scared of the loud noise, find out what time they will set them off and make arrangements accordingly. Instead of staying for the firecrackers, you could purchase some confetti poppers or sparklers and keep the celebration at home. Near the San Francisco area? Each year, San Francisco holds one of the largest Chinese New Year parades in the country. This year, the event is on February 24. Red envelopes are given to kids or anyone younger than you. Traditionally, we give money but dog’s don’t use money. For Carmella, she would be happier getting some lucky “candy” or treats in her envelope! The conclusion of the new year ends on March 2, with the Spring Lantern Festival. If you can go to an event that allows you to set off your own lit lantern into the night sky, go! It’s such a gorgeous site to see so many lanterns in the sky. In the day time, there may be some lion dance demonstrations that you can attend. What did you end up doing for Chinese New Year? Share a photo with the Pawtivity community here. (link to Chinese New Year Event.